With the confirmation last week that MSC Cruises would be moving from Fort Lauderdale’s port of Port Everglades to the Port of Miami in November 2013, Miami has added yet another cruise line to its recent list of conquests. These include not only the more upmarket Celebrity and Regent, always regarded in the past as Fort Lauderdale lines, but also Crystal and Cunard Line, who made the move to Miami earlier. Elsewhere, the European Cruise Commission and Cruise Lines International made three more proposals towards cruise ship safety at a conference in Brussels last week. And the Norwegian Dream, a ship that has been laid for the past three and a half years, is soon to go back into service with Star Cruises, possibly in China. 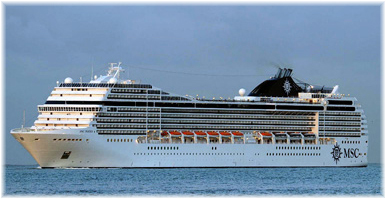 MSC Cruises will change its Florida seasonal base port from Fort Lauderdale to Miami for the cruise season starting in late 2013. The Italian-based line will operate its newest ship, the 3,500-berth MSC Divina, from Miami between November 2013 and May 2014, although MSC Poesia will still sail from Port Everglades in 2012-13. In announcing the move last week, MSC Cruises’ US president Rick Sasso also intimated that another MSC ship could well follow and that having a year-round MSC ship in North America was not entirely out of the question. The MSC Divina will become the largest ship in the MSC Cruises fleet when she delivers in Marseilles on May 26, featuring a separate 69-suite first-class zone called The Yacht Club, with exclusive forward views from its lounge atop the bridge. This is the second such announcement in two weeks as earlier this month Norwegian Cruise Line revealed that it would be basing its own new 4,000-berth Norwegian Getaway at Miami year-round from her introduction in 2014. When she arrived, the 144,000-ton ship will become the largest ship to use Miami as her home port. Sister ship Norwegian Breakaway will be based at New York year-round from spring 2013. Since losing the Oasis and Allure of the Seas to Fort Lauderdale in 2009, Miami has been striving hard to make up for the loss of the world’s largest cruise ships. Even so, it has handled more than four million passengers for four years in a row now, a number that is expected to reach four and a half million by 2014. 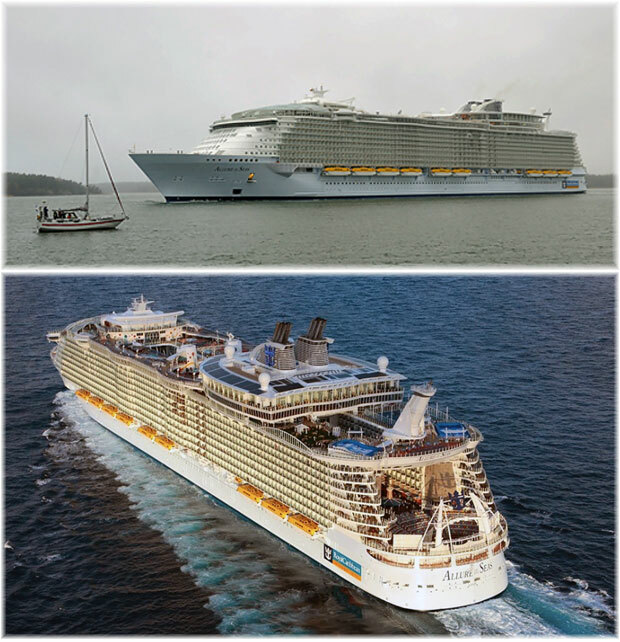 Royal Caribbean’s choice of Fort Lauderdale as base port for its Oasis and Allure of the Seas ended the decades-old rule that Miami, with its 3-, 4- and 7-day cruises, was mass market while Fort Lauderdale, with its Round-the-World and Transatlantic liners, was upmarket. And the recent changes have only served to change this even more. Three brand-new ships are set to start sailing from Miami later this year – the 3,030-berth Celebrity Reflection and 3,690-berth Carnival Breeze, operated by lines that are indicated in their names (echoing the days when tankers were all called Esso this or Texaco that), as well as Oceania Cruises’ new 1,259-berth Riviera. All three will sail from Miami this winter, and with Carnival Breeze becoming the largest ship to be based in Miami, at least until the Norwegian Getaway arrives in 2014. Also new to Miami will be Regent Seven Seas, which will bring two ships to the port next winter. Regent previously sailed from Port Everglades, but they will now share a dedicated Miami terminal with stable mates Oceania Cruises. Disney Cruise Line will also base its 1,750-berth Disney Wonder in Miami for the first time from December through May 2013, operating on 4- and 5-night itineraries. And Crystal and Cunard made the move to Miami some time ago now. One thing going in Miami’s favour of course is that all of Carnival Cruise Lines, Norwegian Cruise Line and Royal Caribbean Cruises are based there, as are Prestige Cruises’ Oceania and Regent brands. Last week the European Cruising Council (ECC) and the Cruise Lines International Association (CLIA), two bodies that are normally primarily concerned with marketing and lobbying, took advantage of a European Union passenger-ship safety conference in Brussels to announce three new safety measures that will be adopted by their members. 1. New passage planning rules. Although cruise lines have generally followed IMO guidance on creating passage plans (complete descriptions of a vessel’s voyage from start to finish) for many years, cruise lines worldwide will now consider passage planning as a mandatory minimum requirement, and each passage plan is now required to be drafted by a designated officer, approved by the vessel’s master, and thoroughly briefed to all bridge team members well in advance of its implementation. 2. New limits on access to the bridge. To minimize unnecessary disruptions and distractions on the bridge, access during any period of restricted manoeuvring or increased vigilance will now be limited to persons performing operational functions. 3. New lifejacket requirements. Cruise lines have long been required to carry enough lifejackets for each person on board, but they will now be required to carry enough additional adult lifejackets to match the total number of persons berthed within the ship’s most populated main vertical fire zone. The measure will save passengers having to return to cabins in an emergency, in the dark as on the Costa Concordia, to collect their life jackets. Problematic within the new proposals is that they raise questions of responsibility and almost make the cruise lines look guilty of having previously allowed practices that might have endangered the safety of passengers. The truth of course is far from this, and as these same bodies have demonstrated so well recently, cruising is the safest method of transport, much safer than either flying or driving. “Inchino” you say, what is that? Well, it’s Italian for bow or curtsy. If you go to YouTube and search for it you will find many examples of sail bys not only by Costa but also by MSC ships at locations such as Stromboli, Procada, Ischia, Sorrento and the Strait of Messina. This seems to have been routine practice on the coasts of Italy for some time. 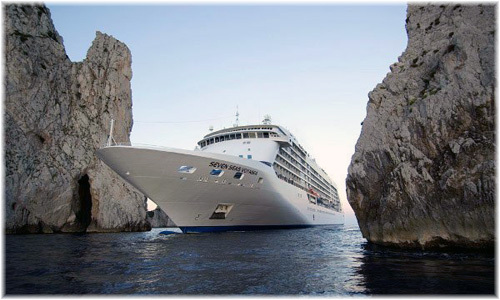 There is even a photo on the internet of the Seven Seas Voyager passing between two rocks at Capri. One thing about the new proposals is slightly disconcerting, however, and that is that they do run the risk of insulting the intelligence of many of the industry’s most competent masters and navigators for the sake of one rougue master who undertook a manouevre that was unsafe. These new measures are so clearly targeted at one man and one event that it almost makes one question their real motivation. That is, unless of course they were an attempt to reassure the “new-to-cruise” market that it is safe to go cruising. So let’s look at these three measures. So nothing new here then. This is about responsibility. Planning an “inchino,” however, is something entirely different and, as has always been known and has now been quite clearly proven, can involve risk. The real question may not be so much about plotting a course as to how to handle such sightseeing tours in future. Should they be banned? Or is it intended that the correct course be plotted through them? As to keeping non-operational personnel off the bridge, as it turned out, it could even be said that the officer of the watch on Costa Concordia might have done better that fateful night if he had been able to keep the master off the bridge. But that is a different question. On the point itself, there is the possibility that some masters might not be trying to impress anyone if they did not have a female admirer on the bridge. 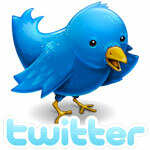 But this too is about responsibility and one must ask if competent master mariners really need this kind of regulation. Either they are responsible or they are not. And as for lifejackets, this is something quite different. This whole area will now have to be re-examined after Royal Caribbean has determined with its new big ships such as Oasis of the Seas that it might well be better to keep all lifejackets by the lifeboats. This may be fine in the Caribbean, but what if passengers need to go and fetch warm clothing and any medication, which has always been the historical reason for returning to cabins to search for lifejackets. One cannot help but wonder if these latest proposals on the part of the cruise lines, while appearing to show an air of great responsibility, may actually be rooted in a combination of politics and marketing. Rather annoyingly I’m sure to many competent masters, they seem to portend a form of “nannying” on the bridge. But from a marketing perspective, they are probably all about reassuring the “new-to-cruise” market, which has taken a beating since Costa Concordia. In the background, of course, we have European Union transport commissioner Siim Kallas, who told delegates last week that the EU intends to present “by the end of 2012 new rules and safety standards for passenger ships” for adoption by the IMO. IMO secretary general Koji Sekimizu made an interesting observation recently when he noted that the capacity per lifeboat on the Oasis of the Seas was a massive 370 passengers, as many as carried by some smaller cruise ships. One of the real problems of course, and no one will really say this, may be people like Ross Klein, a professor of social work at Memorial University in Newfoundland, and an academic who has made a career of bashing the cruise industry in many different ways. His emotional and rather sensational works have led certain members of the US Congress to take up the subject of cruising with great alacrity, followed in turn by the European Union, and all helped along by the Costa Concordia tragedy. When the world returns to sanity, however, the proper body for these subjects, the considerably experienced and well-run IMO, will make its position known. And ECC/CLIA, unless they turn into some sort of regulatory body or global trade association, will be able to go back to their marketing and lobbying role. But on one last point, ECC/CLIA did not mention damage stability, but this will surely be one of the most serious areas of concern for the Costa Concordia enquiry. How did the ship manage to be holed on one side and yet capsize in the opposite direction? Indeed, if we were to believe some observers, if the master of the Costa Concordia really did manage to regain control of his ship after she was holed and navigate her closer to shore, he could well have saved many more lives that night than is appreciated. But how safe would the ship have been had she remained in deeper water? This is the question that has not yet been answered. In the end, whatever the ECC and CLIA decide to do voluntarily, it will be the IMO that ultimately sets the rules. On Friday Genting Hong Kong, the owner of Star Cruises, said that the twenty-year-old 2,150-berth Norwegian Dream will join its own fleet, where she will join sister ship Norwegian Wind, which now sails as SuperStar Aquarius. 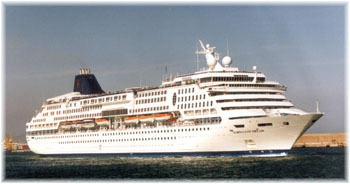 The Norwegian Dream and Norwegian Majesty were part of a deal that saw Louis acquiring both from Star Cruises in 2008 but after a dispute between Louis and NCL parent Star the sale of the Dream was cancelled. The Norwegian Majesty meanwhile became Louis Majesty and will enter service this Friday on charter to Thomson Cruises, when she sails from Corfu this Friday as Thomson Majesty. Norwegian Dream’s sister ship SuperStar Aquarius is meanwhile returning to Hainan for a second cruise season based in Hainan. Reports indicate that Norwegian Dream will join her sister ship after refurbishment. With Royal Caribbean sending the Voyager of the Seas to Asia this year and Costa ramping up from Costa Allegra to Costa Victoria it is likely that Star felt it finally had to do something to maintain its own presence in the Chinese market as well. The Norwegian Dream was laid up at the end of 2008 in Freeport. Bahamas, and then moved to Greece but went to Singapore last June to be docked at Sembawang Shipyard for a technical drydocking. Details of her new name and employment have not yet been announced.